Talk about falling behind on my duties, eh?? Today is the second to last day of the 25 Days of Christie and I’m a little sad. It has been fun yet challenging for me! I hope you have all enjoyed it from the giveaways to my list of faves and everything in between. I would love to hear your feedback on what you thought and what your favorite part was! I know I already did a mascara as one of my faves, but hands down Christian Dior is still one of my faves. I go back and forth between this and Benefit’s They’re Real but even that is a fairly new discovery. 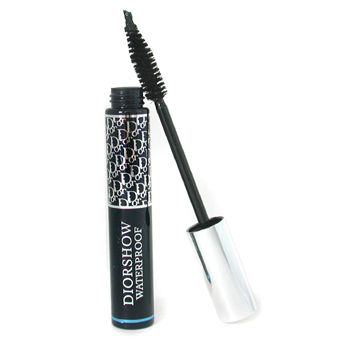 Diorshow is one of those tried and true formulas that I used for years before even venturing out. They are absolute equals in my book and 100% amazing. It doesn’t budge and separates nicely, no clumping. I love this palette. 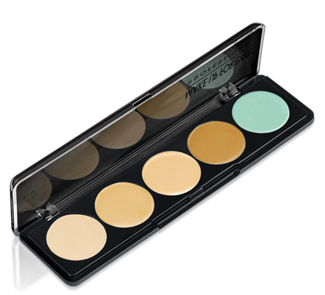 It is a wonderful corrective palette for fair toned people. The green at the end (I never use it directly, I always mix it with some foundation first) is perfect for blemishes, but if it doesn’t require such a pigmented color correct I opt for the olive toned color in the center (this picture doesn’t do it justice. For under-eyes I go for the second to last color with the deep orange-pink undertone (again this photo doesn’t really show the tones of the palette too great). Basically, I go through #14 and #15 like it’s water, thank goodness for the replacements. 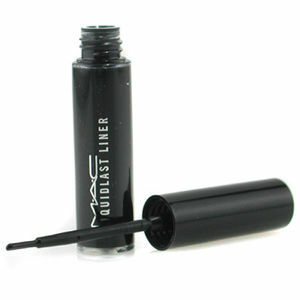 This is by far the most magical formula of liquid liner I’ve ever experienced. It. Won’t. Budge. Ever. No seriously, not ever. You need to take some makeup remover to this bad boy, ’cause soap and water won’t cut it. It is brilliant. I don’t use the applicator, so I can’t speak for it. I put it on my hand first and use a small angled brush to apply. This is also why I am commonly asked if I have a small tattoo of an ink blot on my hand because no matter how much I wash my hands it stays put (and I never remember to take it off with remover before I leave the house… I’m a classy lady). Okay, now that we’re all caught up I would like to remind you that tomorrow is the last day of the 25 Days of Christie and the last giveaway! Be sure to tune in tomorrow for what it will be and how to enter!! Also, I’d love to hear your feedback if you’ve been following along, either comment on the blog or on my Facebook page. It has been a pleasure chatting about beauty with you guys every (or almost every) day for the last 25 days. Don’t worry, my blog won’t be going anywhere! I will still be posting my tips and thoughts and updating you all on my work.